LAS VEGAS (AP) — A request from Major League Baseball to gambling regulators to ban betting on spring training games was quickly rejected in Nevada and is under consideration in at least three other states that recently legalized sports betting. The league asked for the ban on Wednesday last week — the day before the first scheduled spring training game — arguing in letters to regulators that the exhibition games are "more vulnerable to manipulation" because teams are focused on getting players ready for the season, not on winning. MLB said its concerns have grown because of the spread of legal sports gambling after a ruling by the U.S. Supreme Court last year opened the possibility of new American markets. The games have historically attracted little to no betting action in Nevada, where casinos in Las Vegas and elsewhere have taken bets on spring training games for decades. MLB's deputy general counsel Bryan Seeley argued the risk is "particularly acute" during spring training because many players are not on the roster and don't make much money. "Spring Training games provide greater opportunity for the misuse of inside information," he wrote in his request. "The outcome of games sometimes depends heavily on non-public managerial decisions that are made in advance and are independent of Club or player performance, such as how many innings a pitcher will throw or in which inning Minor League players will replace Major League players." 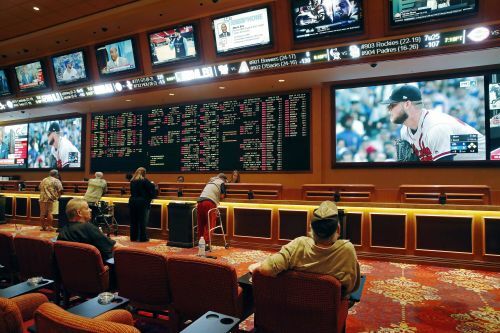 The Nevada Gaming Control Board responded the following day, saying sportsbooks across the state have controls in place to minimize concerns about players potentially fixing bets and haven't had any problems with spring training. Board chairwoman Sandra Morgan said Nevada's sportsbooks have served as the "alarm bell" when something was amiss with sporting events and related wagers. Nevada's effective monopoly on sports betting ended last spring with the Supreme Court backing a challenge from New Jersey to a ban in most of the country. Casinos in seven other states now accept wagers on sports, and the list is expected to grow with at least 22 states considering bills this year. Pennsylvania received a similar request from Major League Baseball and quickly called a timeout. "We acknowledge the concerns they raised concerning sports wagering on spring training games and we are examining these concerns," said Doug Harbach, a spokesman for the Pennsylvania Gaming Control Board. "While we do this, we have requested Pennsylvania sports wagering operators to refrain from offering wagers on spring training games." Sportsbooks in Mississippi are accepting bets on the games. The executive director of the Mississippi Gaming Commission, Allen Godfrey, said he has not responded to MLB. New Jersey is reviewing the league's request. The Westgate Las Vegas Superbook had 10 spring training games on the board Tuesday. Jay Kornegay, vice president of race and sports book operations, said of the 20 teams, only two had more than $200 wagered and none had more than $300 in total action. Some teams didn't have a single bet by early afternoon, when most games begin. No team had more than two tickets written for straight bets. In parlays, no team had more than 10 tickets. The limits for bets on spring training games at the Westgate are $1,000 on the side and $500 on the total. The sportsbook does not take wagers on split-squad games. Kornegay said the betting action in the games is traditionally so low that it would be very easy to detect unusual patterns. "It's grocery dollars on these games because it is very minimal," he said. "If there was any suspicious activity on these games, it would stick out like snow in Vegas." Veteran oddsmaker Jimmy Vaccaro said spring training wagers usually are only offered to "appease" some patrons and give them other options. But action is "basically none." "I don't think they wake up in the morning and go to the sportsbook just to bet on the Seattle Mariners' exhibition game," said Vaccaro, now the director of sports relations for Rivers Casino Pittsburgh. Associated Press writer Wayne Parry in Atlantic City, New Jersey, and Jeff Amy in Jackson, Mississippi, contributed to this report. MLB 2019: Where will Manny Machado and Bryce Harper go?